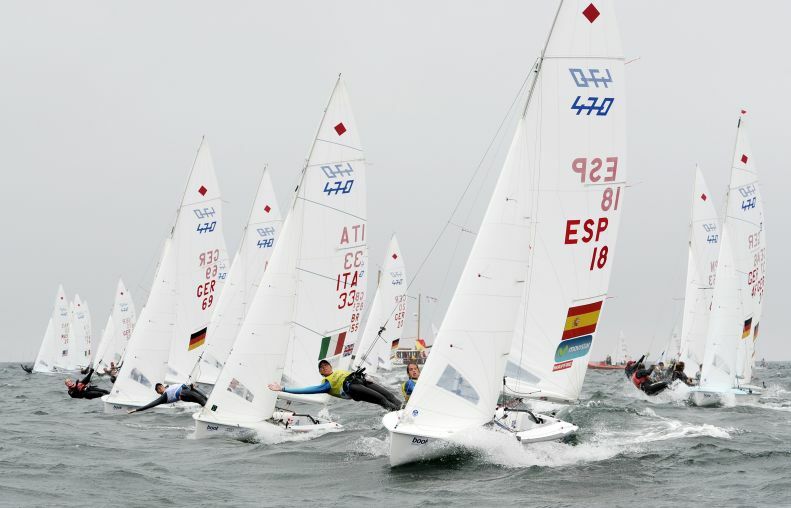 The tension caused by a thunderstorm above Kiel was also evident on shore as the top two teams in the Mens title race meet in the protest room this evening. The Japanese Keiju Okada and Naoya Kimura meet the local heroes Malte Winkel and Matti Cipra for a protest hearing. The outcome is not known yet. For the top ten of men and women only, the Medal Race will prove who can follow in the wake of the prominent sailors who addressed the young sailors soiree last night, including gold medallists, Kevin Burnham (USA) and Matthew Belcher (Australia) as well as top coach Victor Kovalenko who all answered the questions of the young sailors. Nothing much changed about the Japanese lead after today races. They are still chased by Winkel/Cipra (Kiel/Germany). But the points differential may change subject to the outcome of tonights protest. Meantime Spaain’s favoured Charles brothers from Spain lost their podium place to the title defenders from France. "At the second start, we were very defensive, because we did not want to risk anything, so we started really late. Then a shift came, that was a disadvantage for us. We have to see, what we can do tomorrow", said Alex Charles. 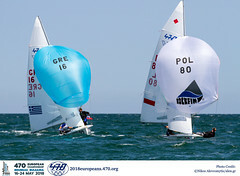 There is a lot of movement in the top of the fleet, but he point scores are close together. Only the leading team Okada/Kimura could clearly increase their lead to Winkel/Cipra. It is now ten points. 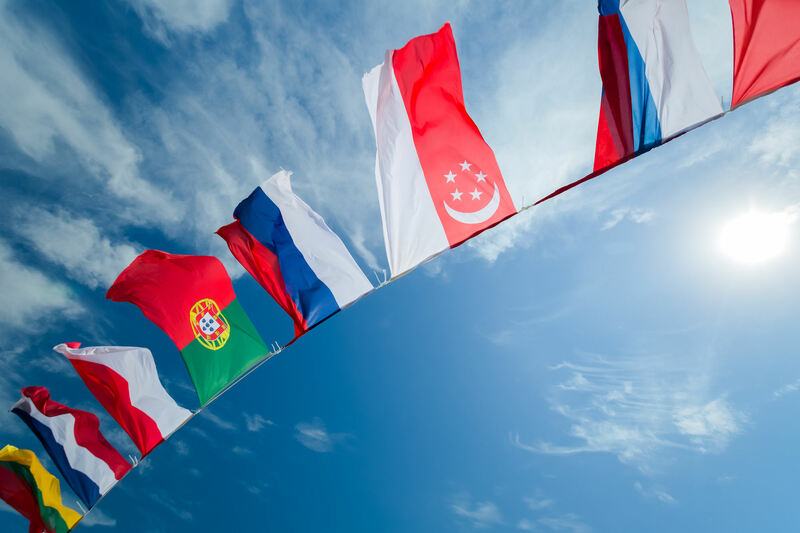 The Vice Champions from the previous year would have to cross the finish line five places ahead of the Japanese to become World Champion. Winkel/Cipra look simply to stay focused and rely on their own game. „We simply sail our race. Each medal is a medal; it doesn’t help to put ourselves under pressure. We have proven many times, that we can do it", said crew Cipra. Theoretically the French, Spanish, Italians and Israeli can still win the title. 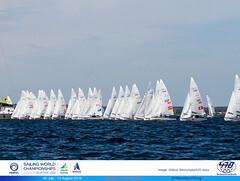 In the Womens Fleet the outcome is still not decided. But Spain’s. Silvia Mas and Paula Barcelo have a good lead with 14 points difference and are thus in the favourite position, enhanced by two race wins today. 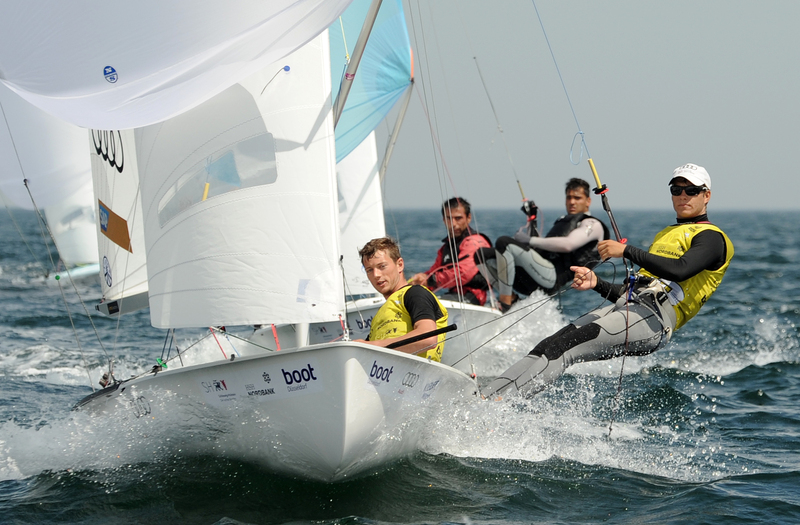 "But everything can happen in the Medal Race. It will be very important to keep control of the fleet", said Mas. 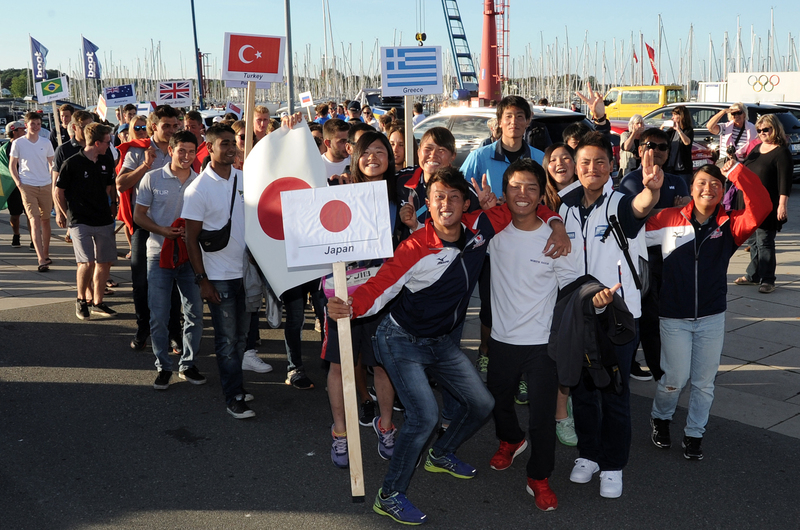 "We have been in the Medal Race two times already and love it. We love to fight." On rank two, the French team Marina Lefort and Lara Granier are surprisingly entering the Medal Race. According to the changes at the top of the fleet, they are also cautiously optimistic: "It will be complicated", states Lefort. 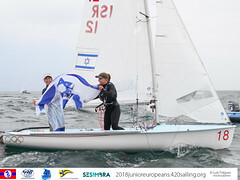 The current Vice Junior World Champion Maria Bozi and Rafailina Klonaridou (Greece) are one point behind the duo from France at the end of the fourth race day. The French female sailors as well as the Greece women could still take the title away from Mas/Barcelo. Frederike Loewe and Anna Markfort (Germany), who are currently fourth the chances for gold are gone, but they can still get a place on the podium. The current Junior World Champions di Salle/Dubbini (Italy), who are currently on rank five, can only move up to rank four at the best. The Medal Races of the men and women will be sailed on the media race course. The start of the women on Sunday is scheduled for 11:30am, the fleet of the men is supposed to start at 12:15pm.